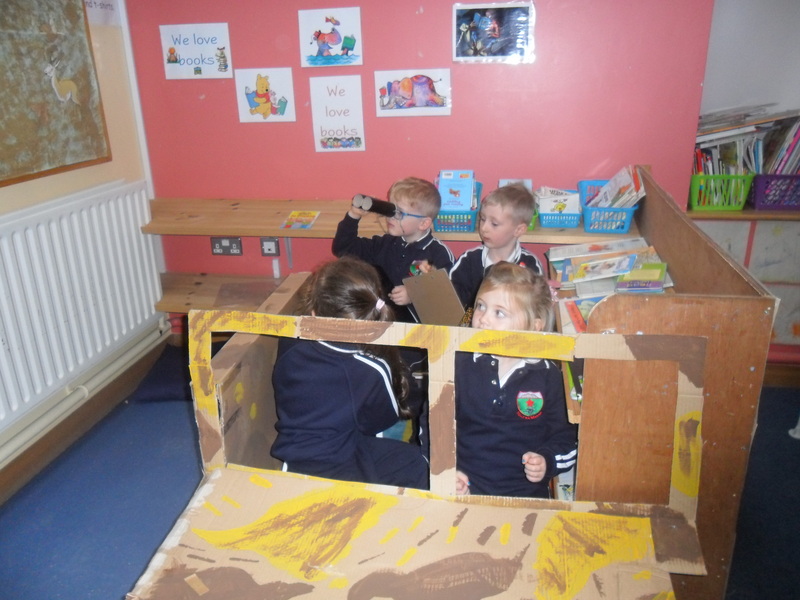 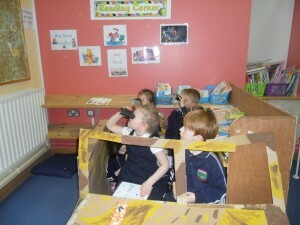 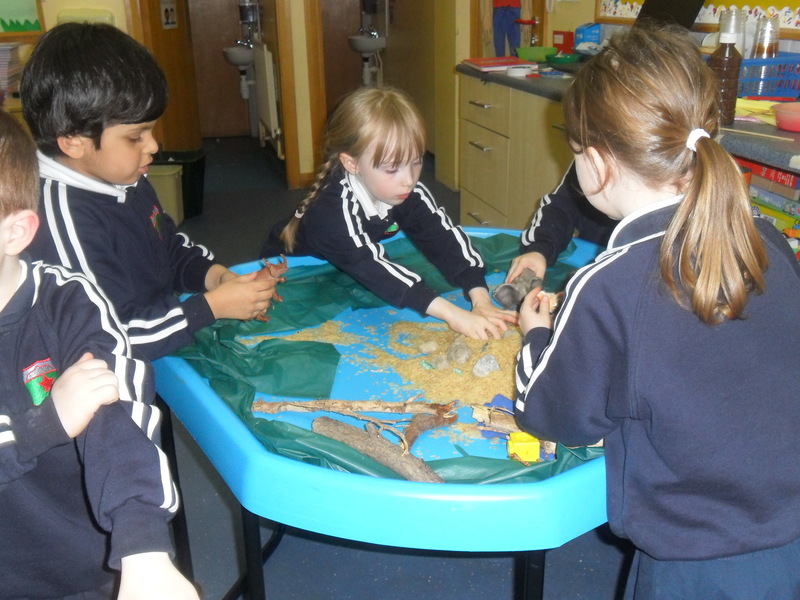 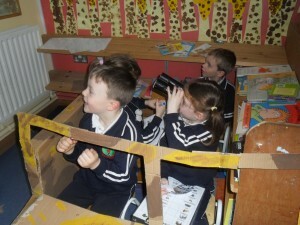 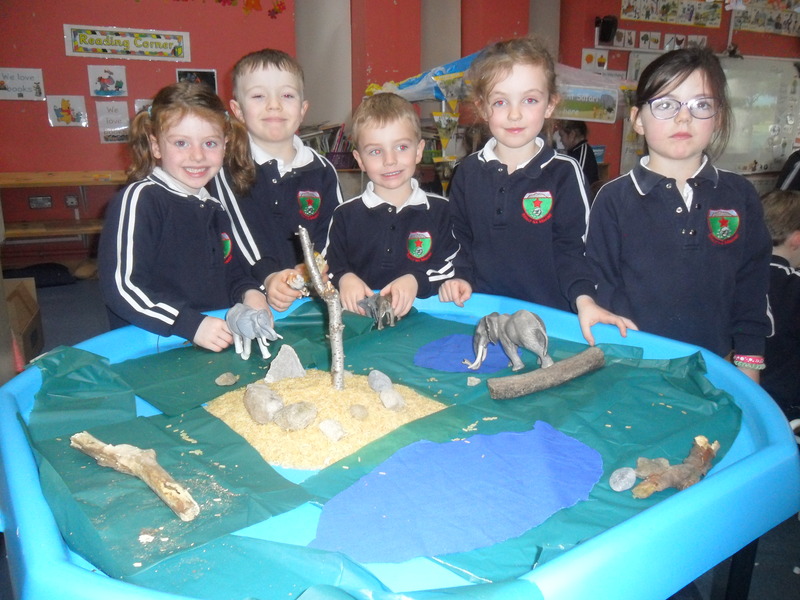 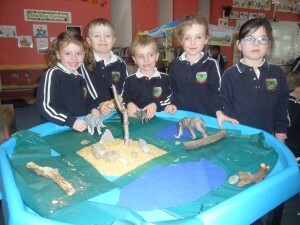 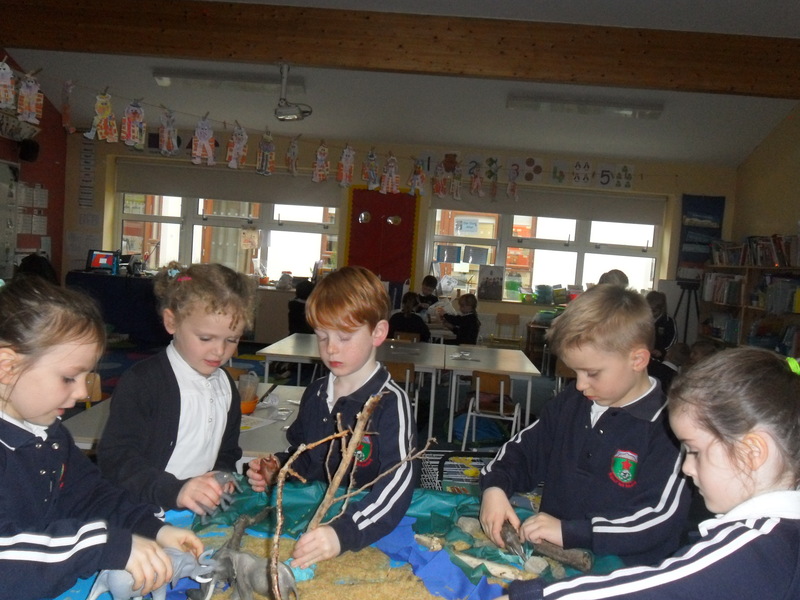 We’ve enjoyed different activities as part of our Aistear topic on Africa. We’ve been on safari – buying tickets, checking the map and spotting various animals with our binoculars in the jeep and checking them off on our list. 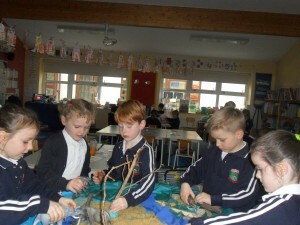 We’ve also used different materials to create our own savannahs for African animals.